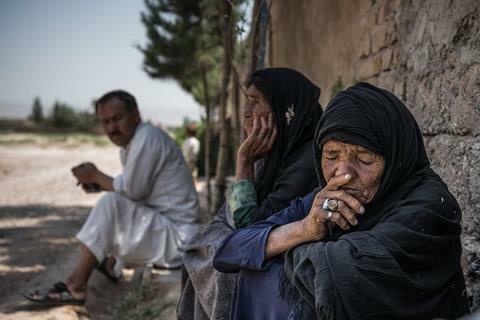 HERAT, Afghanistan - One woman here in the western Afghan city of Herat said she had begged her son not to go fight in the Syrian war, but he charged off anyway, leaving a wife and three children behind. A man overhearing her story came over to say that his son had left two months ago, and since then the family has been desperate for news about him. Another woman, Khadija, whose son Hassan had joined Afghan brigades fighting alongside the Syrian government, said he had been pulled into the vicious conflict for the same reasons most of the young men in the neighborhood had decided to go: “He could not find work,” she said. Afghanistan has been hollowed out as its citizens have fled poverty and war, many seeking work in Pakistan, Iran or Persian Gulf nations, or risking the perilous trail to Europe. But this specific emigration pattern — of thousands of young men flowing into neighboring Iran and then on to fight alongside the Syrian government and its allies — has provoked extraordinary anguish for families here and for Afghanistan’s government, particularly over the past year. Leaving a country racked by decades of war, the young Afghans who choose the path to Syria then fall into peril on the bloody front lines of Aleppo, Homs or other battlegrounds. Iranian state news media and some Afghan officials suggest that hundreds have been killed in battles over the past year. Sara, right, said that her son, Ishaq, 40, had ignored her pleas not to join the war in Syria. Thousands of Afghans, almost all of them Shiite Muslims from the Hazara ethnic minority, have fought in Syria in the past few years, serving in brigades supporting the government of Bashar al-Assad, according to their relatives and commanders in Syria. Most of the Afghan men are recruited or drawn from the Afghan diaspora within Iran, a crucial ally of the Assad government. The promise of urgently needed salaries — or at least compensation for hardship or death— has done little to comfort the families left behind, or to ease their regret at the misery that forced their sons to flee in the first place. In Khadija’s case, her son Hassan’s decision to go to Syria came after her husband, who is disabled, lost his land. But she insisted that she and her husband had urged Hassan not to go. Though the Afghan men who leave for Syria soon face the miseries of another incessant war, they have one advantage over some other Afghan migrants: They are less likely to be deported and forced to return to Afghanistan. At the border crossing with Iran, a 90-minute drive from Herat, at least 30 buses arrive several times a week, filled with Afghans deported from Iran. Some carry families who have lived illegally in Iran for years. But most of the deported Afghans were young men — some as young as 10, according to aid workers with the International Organization for Migration — who stole across the border desperate to find work. Many said they would return to Iran as soon as they could. Afghans who were deported from Iran unloaded their luggage from a bus earlier this month in Herat Province. Some of the Afghan fighters head to Syria for religious reasons. Others were coerced or duped into fighting, say human rights groups. But most were enticed by financial benefits, including the promise of legal residence for the fighters and their families in Iran, said Abdul Rahim Ghulami. He is a local official in Herat who said his brother-in-law was a commander of an Afghan unit fighting in Aleppo.  Iran’s government provides a few weeks of training and flies the men to Syria, where they join one of the Afghan brigades. Those units are sometimes viewed with suspicion by their own allies: In interviews in Syria, some of the other fighters from pro-government militias disparaged the Afghans as too young and poorly trained. A shop owner in Damascus named Ahmed giving only his first name because he did not want to be punished who works near the Sayyida Zainab mosque, a revered site for Shiites, said the numbers of Afghan fighters guarding the mosque had increased in the last six months. They were a sorrowful lot who complained about their lives in Iran or Afghanistan when he talked with them, he said, but said they faced little choice if they wanted to support their families.. Casualties among the Afghan fighters were high, said Mr. Ghulami, who lived in Iran for 24 years. He said he visited the Iranian town of Mashhad two months ago and saw that its Afghan quarter was blanketed with black banners that signaled a house in mourning. The size of the outflow from Afghanistan itself has been harder to tally, because the government’s disapproval has led families to stay quiet. Mr. Ghulami, who serves as a local mayor in Jebrail, a Hazara district of Herat with roughly 100,000 residents, estimated that 20 percent of the families there had someone serving in Syria. There was no way to confirm that number: no funerals of Afghan fighters, and no black banners to honor the dead. But in Jebrail, along with another Hazara neighborhood of Herat, called Khatim al-Anbiya, it is easy to find the relatives or friends the Afghan fighters had left behind. At the cigarette kiosk where he worked in Jebrail, a boy named Sayed Ali remembered his neighbor and classmate, Habibullah, 20, who ran off to Syria a few years ago, when he was still a teenager. This year, word came back that Habibullah had been killed in the war. Another high school student, named Jawad, disappeared from his home in Khatim al-Anbiya two winters ago, leaving his family to assume he had gone to Iran to find work, according to his uncle, Mohamed Ibrahim. When his parents last heard from Jawad, he said he was in Syria, and told his father he was preparing to come home. Then, eight or nine months ago, a man brought the news that Jawad had been shot in the head and killed. Mr. Ibrahim said he was not sure what took Jawad to Syria — “No one can read anyone’s heart,” he said — but said he thought the boy was just looking for work. “They go there because of poverty,” he said. Yazdanbeg Yazdani, a 50-year-old resident of Jebrail with family in Iran, said that a year ago, he received a call from Iran telling him his younger brother, named Yunus, had joined the war as an officer and was killed in a suicide bombing attack. Mr. Yazdani was unsure why his brother, who was 48, felt compelled to fight — whether he supported the Syrian government, or had been forced into battle, or simply needed the money. The brothers had been separated decades ago, when Yunus moved to Syria — their family fractured by migration, like so many in Afghanistan. Mr. Yazdani could not attend his brother’s funeral, which was held in Iran. But his family there sent him pictures of the service.